At the beginning of last week I talked about a Lovelace title that I did not really care for and so, to even things out, I thought I'd start this week out by telling you about one that I loved. 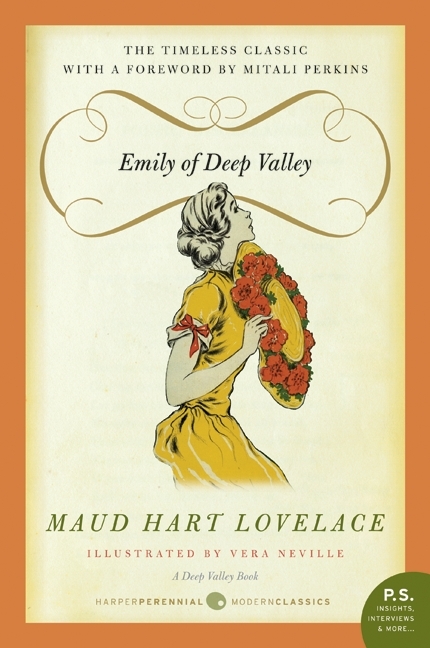 This was my first time reading Emily of Deep Valley . What didn't I like about it? Well, I can't actually think of anything at all! From start to finish I read this thinking, "Oh, I will enjoy reading this again and again!" It is such great comfort "food." 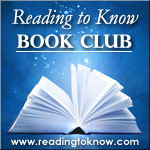 I asked Annette why she mentioned it as being her favorite of the Deep Valley books and she replied that it was a title that made her think. I can absolutely see what she is talking about. Emily isn't your typical book heroine. The book opens when she and her friends are graduating from high school. Her friends are so excited to be moving out into the world, some getting married but most heading off to college. Emily, on the other hand, isn't so eager for her high school career to be over because she doesn't really have a plan for what comes next. Emily is the type of devoted granddaughter that you dream of having. She was orphaned as a young thing and was raised by her paternal grandparents in a little house right outside of Deep Valley. Her grandmother has passed on at the time of this story and so it is just Emily and her grandfather living in the house. She doesn't want to leave him on his own so she gives up her dream of going to college for his sake. This is a struggle for her (as it would be for anyone I can think of) and I love how Lovelace wrestled Emily through her natural desires. I thought Lovelace presented the thoughts at war in Emily's mind very well. Ultimately though she sets aside her own desires for a furthered education to develop her desire to love her grandfather well. So, Emily keeps house for her grandfather and watches her friends come and go from their college breaks and feels listless and in need of a purpose. Ultimately she finds one and she discovers that learning is not something strictly relegated to college classrooms. Rather, she comes to the decided opinion that anyone can learn and apply themselves to any variety of subjects and any variety of ways which gives purpose and satisfaction. There are a lot of political arguments that could be made about Emily of Deep Valley . Nowadays we would look down our noses at any male or female who gave up their "right" to an education to care for family. We would speak admiringly of their sacrifice, sure, but with a condescending air attached. We, as a society, tend to place a great value on education these days. So our children of both genders ship off to colleges and universities and open up their minds - to any manner of inane or interesting things. The college experience is "good" for one to have, so they say. Please note: I am absolutely not against a body pursuing a college education. Lovelace clearly valued a college education. I do also in so much that it gets you where you ultimately want to go. However, she sensibly (and rightly, in my opinion) emphasizes the fact that you cannot learn about love for your common man and noble deeds from a professor. A person of character can absolutely be developed outside the school house (or college campus) in any variety of ways. We can learn by reading (hey! ), volunteering, apprenticing, discussing, sharing our lives with others and availing ourselves of opportunities to travel and be exposed to new ideas and operations. Learning is something we should be doing on a daily basis and we should not chide ourselves or anyone else who chooses not to pursue higher education for failing to do their human duty. All people have value. Some excel in schoolwork and have amazing opportunities thrust into their laps to increase their education. Others are skilled with their hands or in the art of relationships and those individuals have value also. We all learn differently and I like that Emily is placed outside the box of what is normal for us today to make us modern readers realize that our success is not to be measured by a diploma on a wall. For you truly come to see that Emily's decision is one to respect and appreciate. Of course, back at the turn of the century, not all people were expected to go to college. It was considered a privilege and not a right - as we have deemed it today. In Lovelace's time, this book might been of some encouragement for girls who did not run off to college upon completing their high school studies. But for today's girl, reading Emily of Deep Valley has the potential to catch them off guard. But it is good to be caught off guard if it makes you think outside the box. Another reason I appreciated reading this book is that the family unit has grown weaker by the generation. We're in a pretty sick place with the family in our society today with divorces, broken homes, mothers and fathers failing to be responsible to and for their children, etc. It is quite a foreign concept - these days - to think about sacrificing personal opportunities for the sake of family. I think Emily is quite admirable in that she wrestled with her own wants and desires but ultimately decides to honor her relationship with the man who raised her. He is older and weaker in mind and body, but his heart is strong with love for his granddaughter and she didn't dismiss his affections as not being worthy of her own love and attention. Truly, more people need to follow Emily's example in examining personal ambitions in light of what is healthy for the family. Relationships that span generations are not to be sneered at. They are rare these modern days and therefore all the more valuable! I could probably continue on rhapsodizing about Emily. I really, really admired her. It's an easy story to fall in with and enjoy and I thoroughly enjoyed every single minute of it! I highly recommend this one! It should be duly noted that I read this in conjunction with the March Reading to Know Book Club in which we are invited to read any Maud Hart Lovelace title of our choosing. It should also be duly noted that everything I've ever read by Lovelace is a remarkably quick and easy read so if you haven't decided to join in this month's book club - there's still plenty of time! This is also one of my favorites--probably my number 1 favorite, actually--book by Maud Hart Lovelace. I can really relate to the struggles that Emily goes through inside herself and I admire how she finds strength to "muster her wits." My read it over the weekend...and delighted in it all over again. I want to set aside a good chunk of time to also write a good review...and the wrap up for the challenge. :) By Thursday, right? Ideally before? Oh man. This one sounds very good. I liked your "education" paragraph. I wanted to cheer. Sounds great! I hope to get to the rest of Lovelace's books some day. As someone who didn't finish college, I appreciate your thoughts concerning that subject! I think that was part of the reason I liked this book so much. In many ways, I really connected with Emily.